Ulithi (pop. 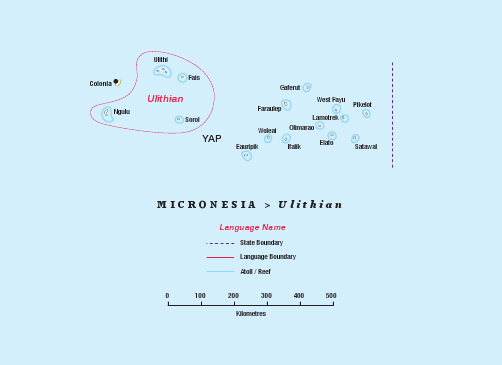 3,000) is a Micronesian language, part of Carolinian language continuum. The language is under influence of Yapese and somewhat of English, but nonetheless strong. Local customs, as on all the outlying islands in Yap and Chuuk states, are still very strong. The Ulithi New Testament was published by the United Bible Societies in 1995. 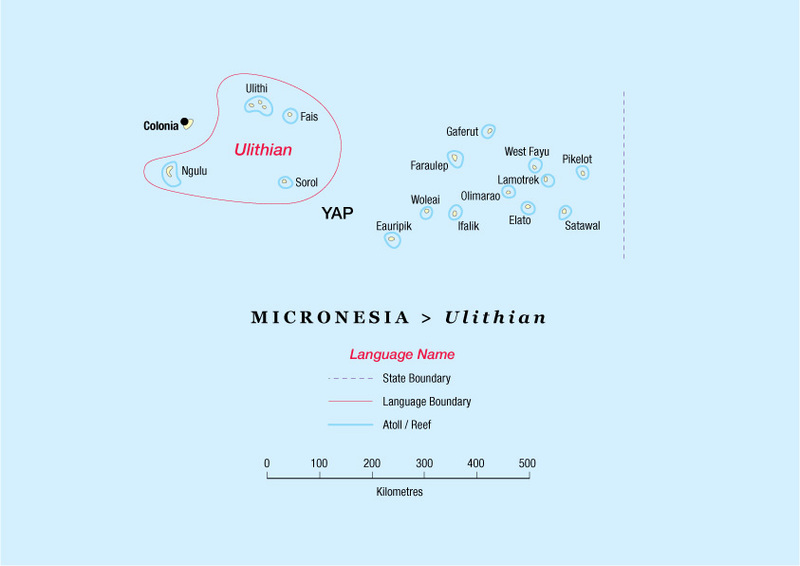 It is not clear if this translation meets the needs of the Ulithi people. Reports suggest that a retired Ulithi teacher is currently translating the Old Testament.